Product #60811 | SKU HLXR-PMC-V | 0.0 (no ratings yet) Thanks for your rating! 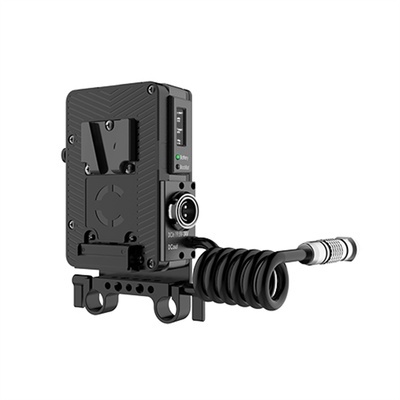 The Core SWX Helix Rail Mount Power Management Control with V-Mount Front for ARRI takes power management concerns away from the camera, and provide a “hot-swappable” platform between on-board and block battery/AC mains while providing transparency to the AC on set. The mount plate system uses a standard 2-pin Fischer connector for the power input on the plates, simplifying the array of cables production companies and rental companies need to inventory while addressing many different camera makes.